Having a manservant keep track of your wallet, keys, and phone is about as pampered as it gets. The Butler organizer doesn't have a British accent, nor does it wear a three-piece suit, but it's got more style than Jeeves ever did. The Butler is a neatly designed storage unit for just about everything in your pockets. 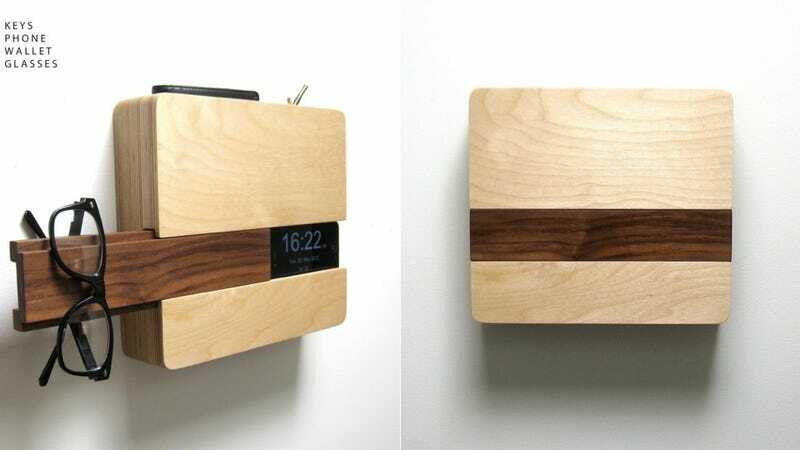 It has a concealable iPhone dock with a hollowed out space for routing a charger, a slot for keys and another for a wallet, it also acts as a hook for your glasses, hat, scarf, or purse. All built into a minimalist two-toned wooden frame that would look just as good hanging in the MoMA as it would on your wall.